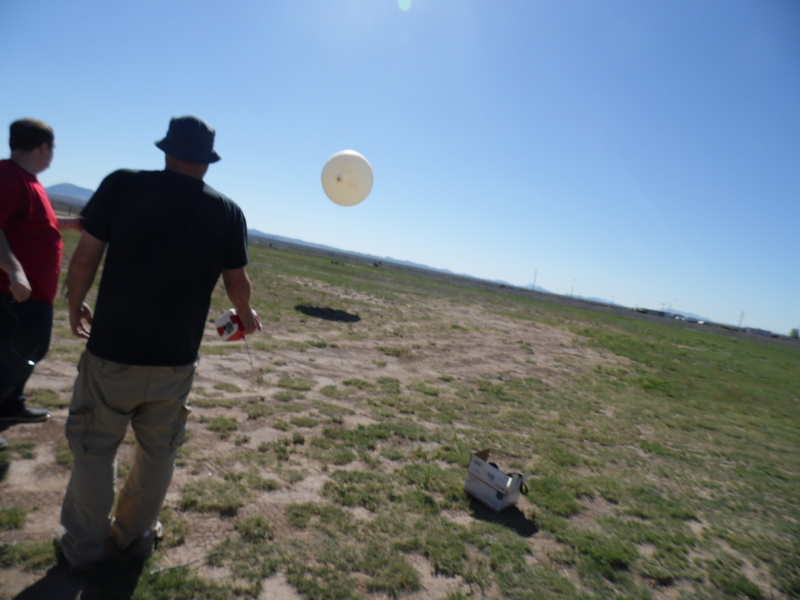 Well on Saturday 25th April, 2015, my wife and I arrived at our launch site, ready to launch the Volatus-1 balloon. After launch, we jumped into the car and began tracking. Between the Kenwood TM-D700a / AvMap GeoSat 6 setup in the car, and the HabHub tracker at UKHAS, the tracking system worked beautifully. Well, the tracking system worked beautifully until the payload stopped transmitting, which wasn’t long into the flight. In the absence of tacking data, we decided that our best course of action was to continue driving to the predicted landing site, and to hope we reacquired the signal. 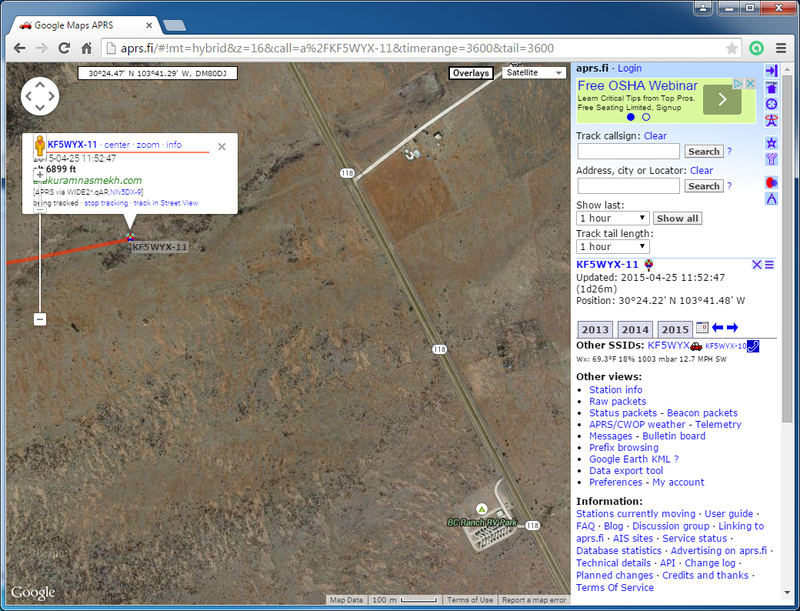 Unfortunately, this location is on Ranch land, and as yet, we’ve not been able to contact the rancher. What’s interesting is the altitude recorded. 6899ft is not so high, especially given that ground is at around 1,400ft here. There are small mountainous hills on this land, and from route 118 it appears that the payload crashed into one of them. So what actually went wrong? I believe the tracking system was working just fine, what went wrong was the launch. This is the first time I’ve done a launch without the support of an experienced launch team. 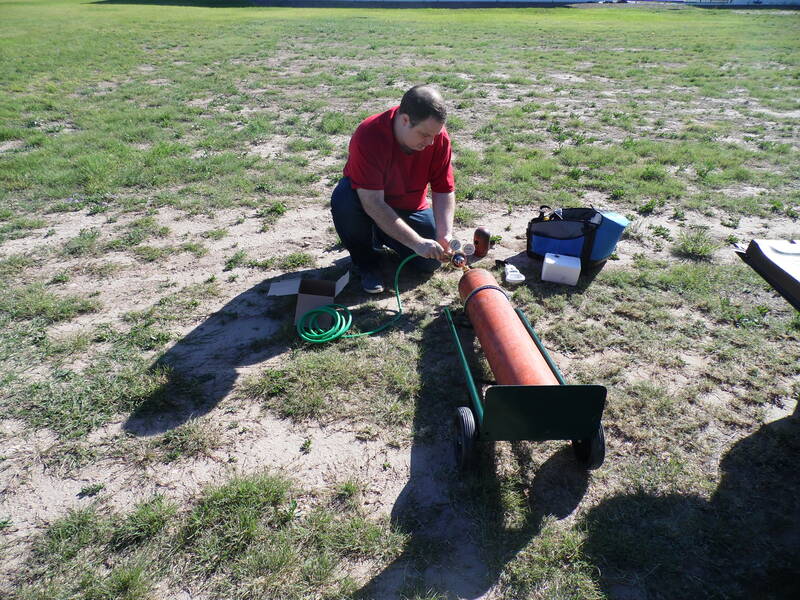 In the past when I’ve done launches with this support, we’ve been able to do almost everything at once, filling the envelope and constructing the payload at the same time. This time, I didn’t have that support and tried to do everything all at once. This alone, is not responsible for the failure. The scale that we used to measure the neck lift of the balloon simply wasn’t sensitive enough. I struggled to get any kind of read at all, and ultimately just had to judge the inflation by eye, and I got that wrong. The balloon was severely under inflated. The wind had the balloon, and it was bobbing, looking like it was going to hit the dirt, and therefore there was a burst risk. I made my second poor call of the day, and decided to just let it go. 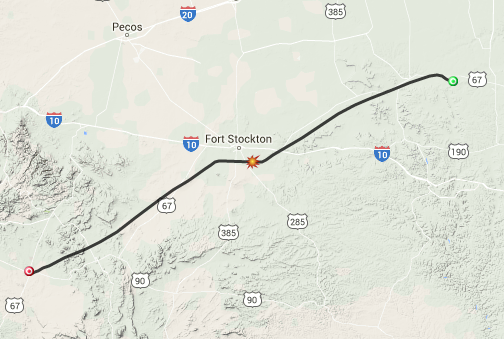 The payload bounced and toppled along the ground for some 400 meters or so as it headed towards the road, but eventually it took some lift. The ascent rate was very slow, but it was in the air, and we gave chase. At that time, the transmitter failed (likely something was jostled loose). From there, it was a fail. I believe the tracking hardware and software are both good, and the tracking tools in the car are great (despite the out dated maps on the GPS device). I’ll happily fly this setup again in the future, after I build a replacement payload. We have also learnt some valuable lessons. 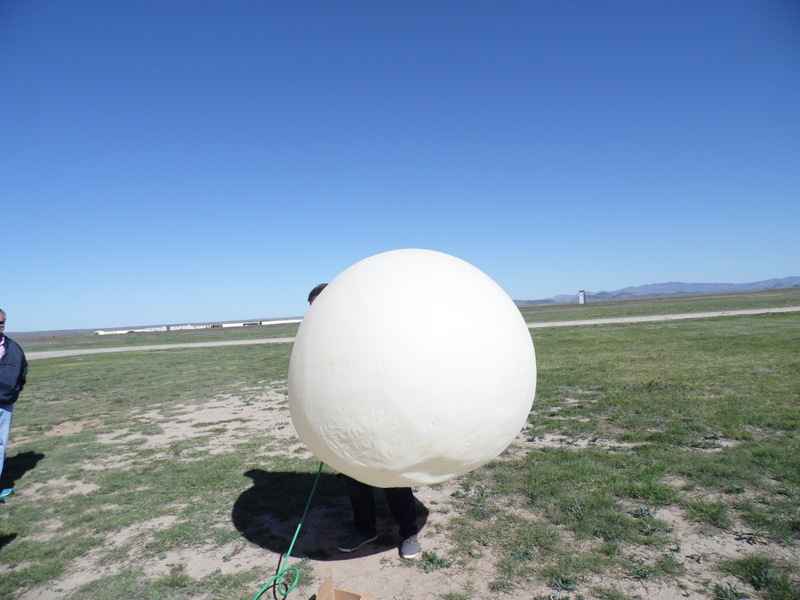 The next time we launch we’ll inflate with some good wind break, with a sensitive scale, and most importantly we’ll carry a check-list flight card, to ensure we take our time and get it right. As an added tip for anyone else attempting this in the US, remember that often ranch land is vast. If your payload is predicted to land on a ranch, consider contacting the rancher ahead of time and request permission to enter their land, or at least ask them to watch out for it. 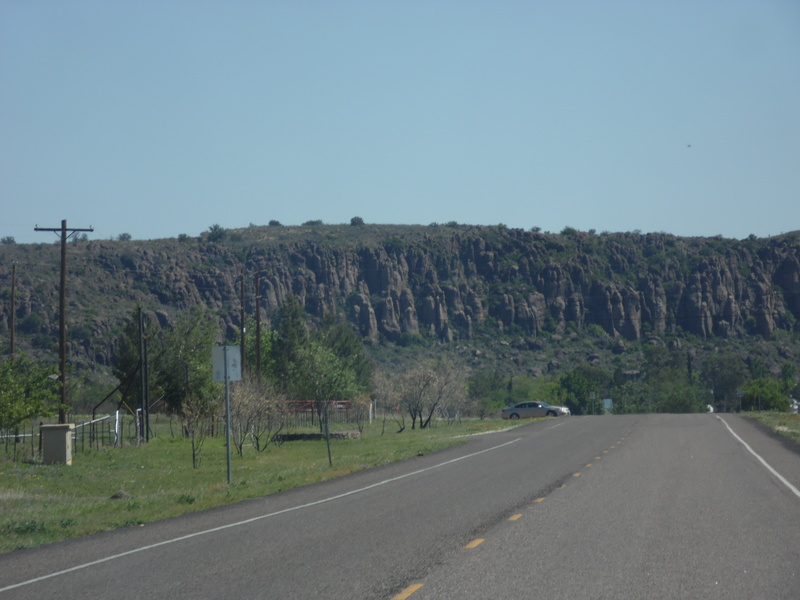 Ultimately however, I got to spend three days in beautiful spring weather, in the very pretty land of West Texas, with my wife and dog as the perfect company along for the ride. Is there a better way to spend a weekend? 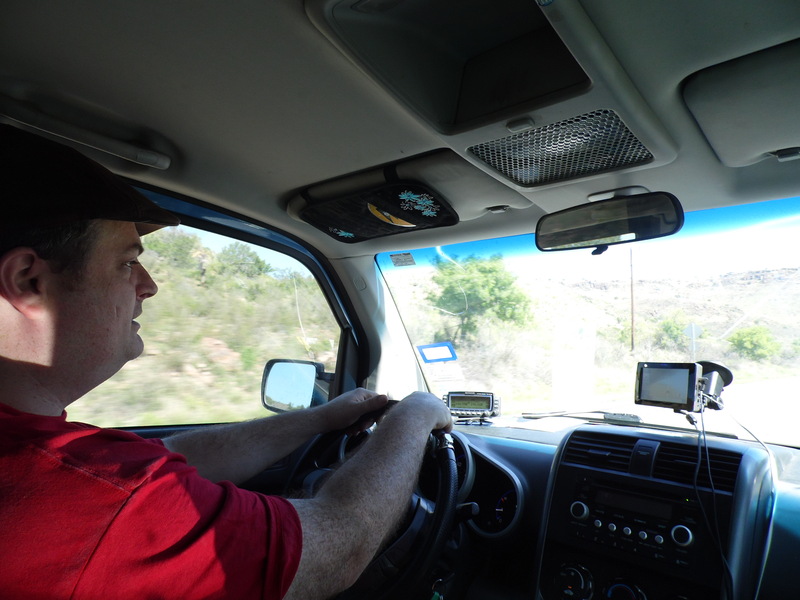 Watch this space, now that I am more confident with the APRS setup in the US, and have all the required equipment, the next launch will be soon. Aiming for June/July (due to family commitments in the meanwhile).